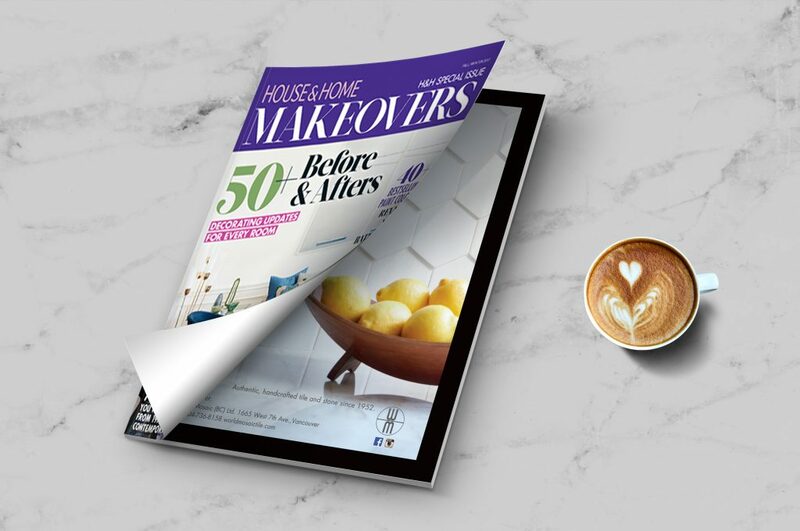 Click here to learn about the extraordinary Knit Collection and why we chose to feature it in the special issue of House & Home Makeovers. A sneak peek of tonight’s all new episode of Love It or List It Vancouver featuring the beautiful Jillian Harris and our hand-crafted terracotta hexagons. Good luck Todd, you’re gonna need it! You will love what Jillian Harris has done with our tile on all new episodes of Love It or List It Vancouver, now airing on the W-Network on Monday nights! From bathrooms, to feature walls, to kitchen backsplashes, celebrity host Jillian Harris has hand picked some of her favorite World Mosaic tile to feature on the hit show Love It or List It Vancouver. We love how Jillian has used glass tile, porcelain tile as well as natural stone in order to make every space truly unique. Shown in this sneak peek photo is Spring Fling, a hand-crafted, recycled glass tile by Oceanside. This is a lovely blend of colours that will bring a clean pop of colour to any space. Not a fan of yellow? No problem. All Oceanside glass tile is completely customizeable so you can make your own colour blend in order to match your own tastes and personality. World Mosaic’s Spring Fling glass mosaic on a Love It or List It Vancouver episode. 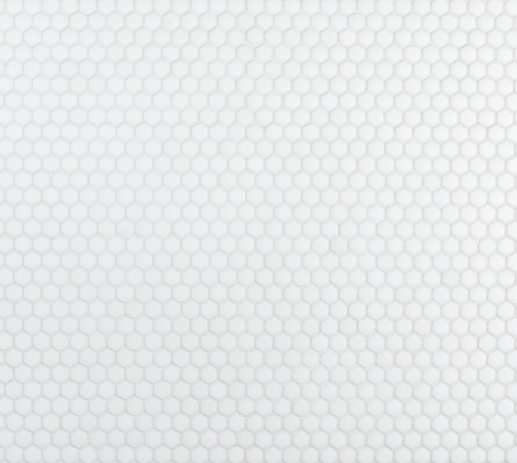 Introducing the new Walker Zanger, Duquesa collection now available at World Mosaic Tile! 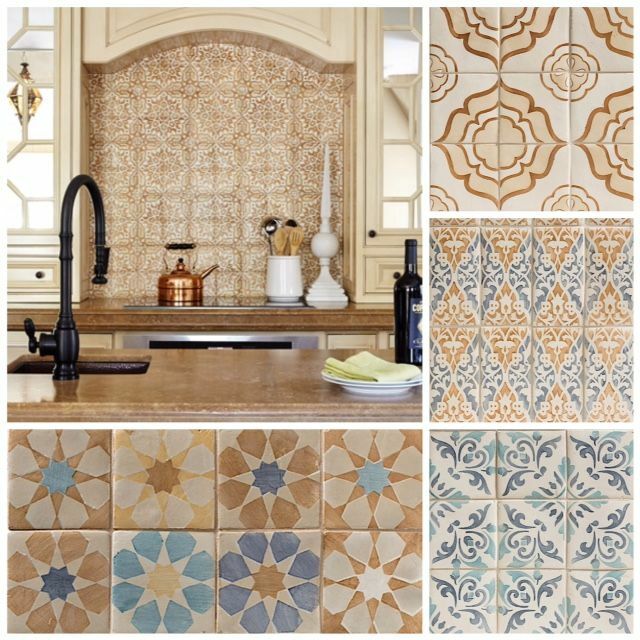 Duquesa is an assortment of hand painted terracotta inspired by Persian textiles, Portugese tiles and Moroccan mosaics. This collection will bring elegance and interest to your kitchen backsplash, make a statement as a feature wall or provide dimension to your fireplace. Come into World Mosaic to see the many more patterns and colours available in this fabulous new collection! Check out this collection on Walker Zanger’s website for additional photos and installation ideas. 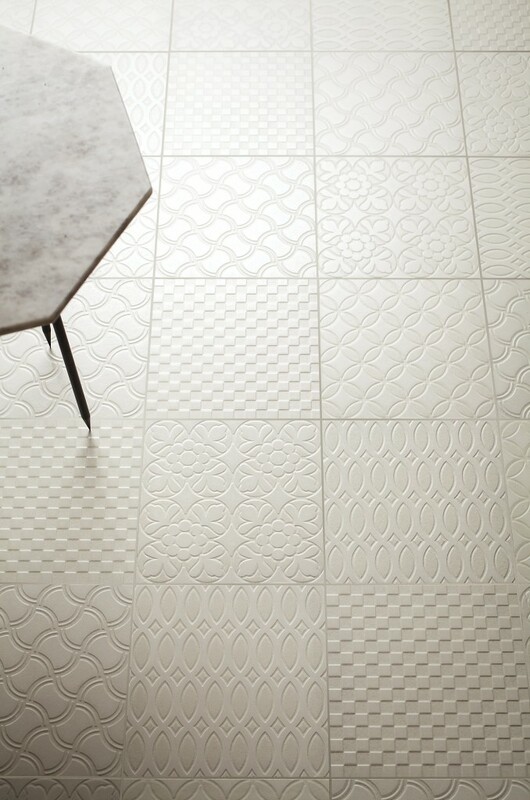 Introducing the new Deco d’Antan wall and floor tile collection. 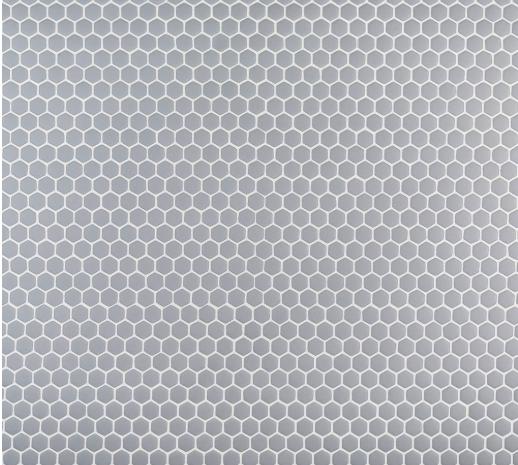 This unique collection exclusive to World Mosaic Tile combines functionality with contemporary sophistication making it the perfect tile for any space. Ideal for both residential and commercial projects, a variety of looks can be achieved using the large selection of colours and patterns. This luxurious Italian porcelain can demand attention or be a soothing backdrop depending on the colours and patterns used. Deco d’Antan is characterized by an array of interesting patterns that when grouped together create a spectacular backdrop. 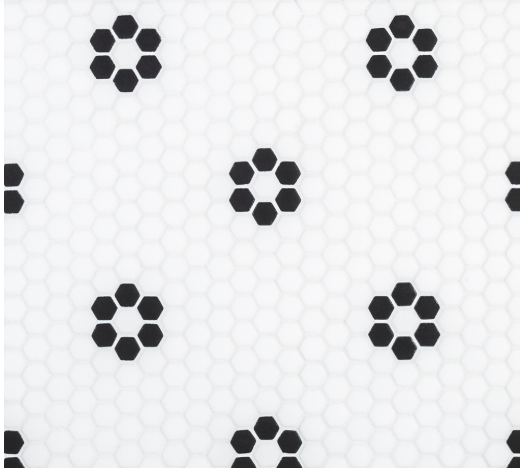 The 5 patterns range from geometric to floral influenced and are available in 5 colours. There are a variety of options when choosing a layout for the mixed pattern. Choose to be consistent with the design or be creative and lay the tiles in horizontal or vertical stripes. Why not group a few of the same patterns together or even mix up the colour options? 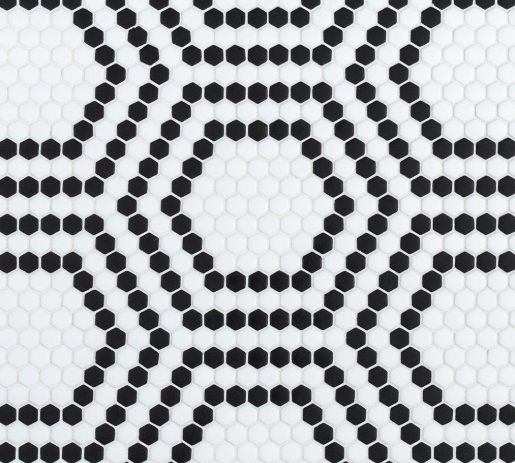 Also in stock at World Mosaic Tile is the Etoile pattern that can be purchased separately in a 24×24 in Blanc Noir, Sable Noir or Noir; and the 8×8 in Noir or Blanc. Many prominent interior designers in Vancouver are already creating buzz around this unique porcelain. Take a look for yourself at World Mosaic Tile or check out our Pinterest page devoted to Deco d’Antan for installation ideas! Looking for an easy DIY project this May long weekend? 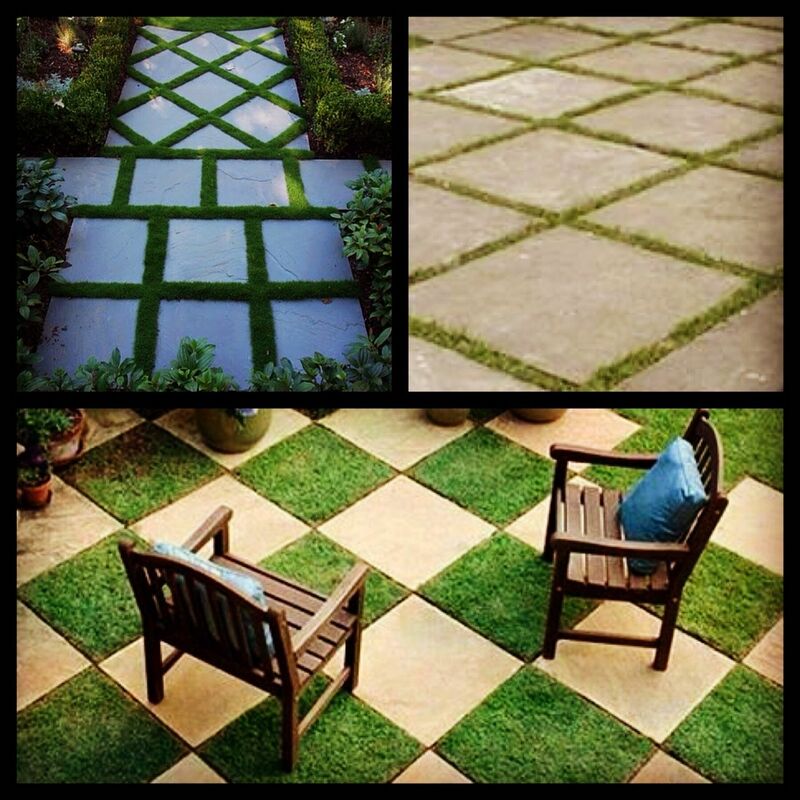 Install World Mosaic’s Patio Tile to get your yard summer-ready! This thick, frost proof porcelain can be installed quickly and easily and enhances any environment. There are countless ways to lay and use the tile such as pathways across gardens, placing on balconies or terraces, creating a residential or commercial patio space, adding walkways on the beach, installing around your poolside. 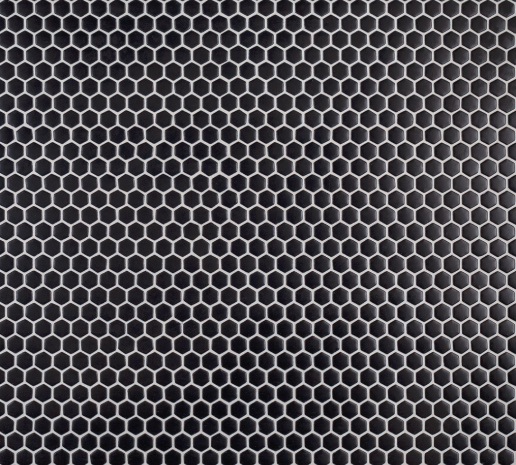 Why World Mosaic’s Patio Tile? It’s in stock at World Mosaic so pick up yours today! Don’t forget to bring in your 30% off Homeshow Coupon! Oceanside has added a brand new palette to their glass tile! Oceanside has added a new palette of blue glass tile to their already colourful glass tile selections. Inspired by the ocean in California, where Oceanside calls home, 6 new blends have been created: Cypress Bay, Lagoon, Sundowner, Cool Waters, Indigo and Breathe. Inspired by where the ocean meets the land and sky, and the mysterious deep depths of the sea, these new glass mosaics will enhance any project from a kitchen or bathroom backsplash to a feature wall in the bathroom or a shower insert. Of course, like all of Oceanside’s products these new colours are a sustainable glass made from curb-side recycled bottles. So not only will they make your project look amazing, you can also feel great about buying a green product! 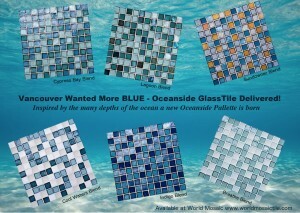 Get your own Oceanside Glass Tile at World Mosaic Tile in Vancouver today! Be sure to check out more of our blue glass tile on our Pinterest page featuring our glass products. Click here! 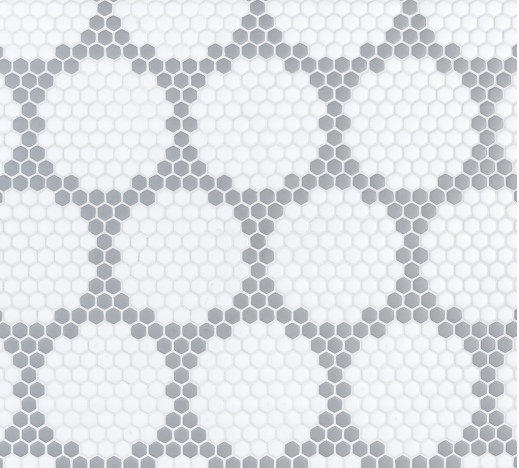 World Mosaic Tile is excited to announce that Oceanside Glass Tile has added new patterns to their Tessera collection! Tessera, a collection that has been Oceanside’s most popular for 18 years has a new addition to the family: 4 equally unique and fashion forward patterns. As always these glass tiles are available in a variety of stylish Oceanside colours and blends to suit your specific project and taste. River takes the 1×2 offset pattern to the next level. It mixes short and tall, wide and skinny rectangles for added interest. This is a great product for a kitchen backsplash, bathroom backsplash or a vertical tile feature wall in a shower. Pave is a modern take on the trending Morrocan look. Install on your backsplash or a full wall for a more dramatic affect. 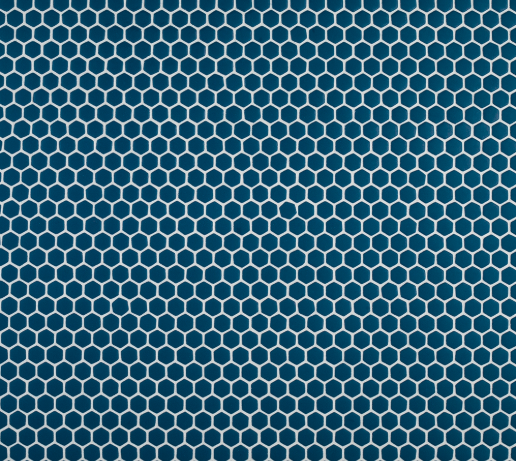 Fez is a geometric pattern that will keep you guessing. Is it flowers, stars or snowflakes? You decide. 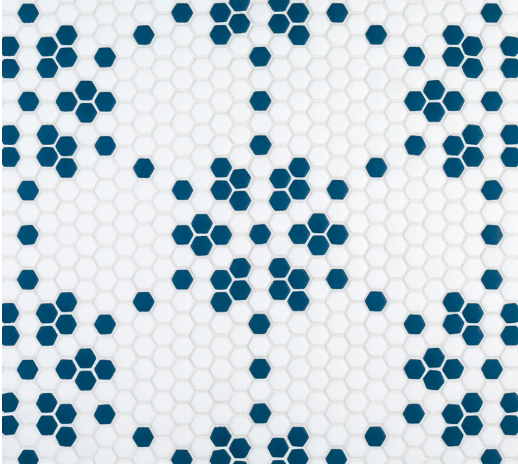 Drench a wall in your bathroom with Fez- you will never want to leave the room. Kaleidoscope is another geometric that you will fall in love with right away. Everyone at World Mosaic has already fallen head over heels. Funky up your space by using a custom palette of vibrant colours for this pattern or use softer colours to add just a touch of personality. 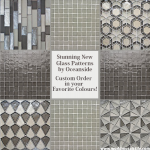 Check out Oceanside’s website for more fabulous patterns and colours or come into World Mosaic in Vancouver to talk to one of our glass tile experts! 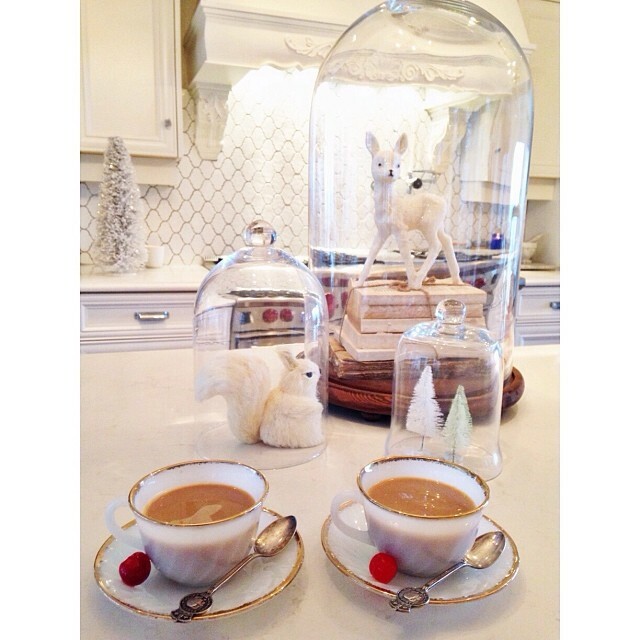 Curious what Jillian Harris’ backsplash is? Host of Love It or Lost It Vancouver and Star of the Bachelorette, Jillian Harris has World Mosaic’s Avignon Mini as her kitchen backsplash. 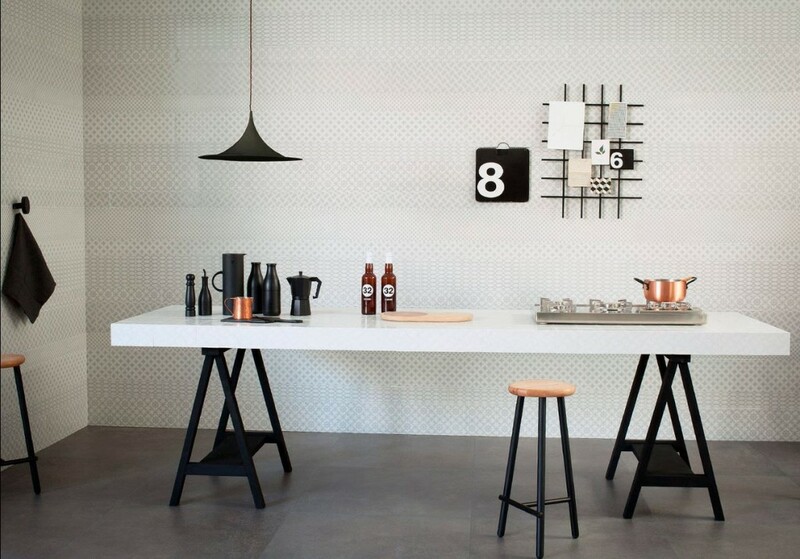 Avignon is one of the hottest new trends for tile in 2014. We love the elegance and character it brings to any room. The Avignon Mini is also available in buttercream and black matte. Avignon Large (6″) is available in cream, white and buttercream. All available exclusively at World Mosaic Tile Vancouver. If you love this shape Contact us or check out our Pinterest board “For the Love of Arabesque” or “Our Products” for more inspiration and ideas.